An Open, Universal Basket Design. Custom wire baskets with an open, unobstructed design can accommodate virtually any part that fits within the confines of the basket. However, while versatile, this option is not always suitable for delicate parts. This is because these baskets do not obstruct part-to-part contact, which increases the risk of scratching or denting sensitive parts. Custom Removable Inserts. Some manufacturers opt for a universal basket design with custom wire inserts that can be added or removed as needed for specific part types. These inserts generally take up less space in storage than whole baskets and are often custom-fit to precise part specifications. However, if a new part is introduced, then a new custom insert may need to be created. Chambered Basket Designs. Instead of using removable inserts, the basket has a variety of differently-shaped chambers that are each optimized for a specific part. These are often used by manufacturers who process all of the parts required to make a complete product all at once. Adjustable/Removable Dividers. This method is similar to using custom wire basket inserts—however, instead of an insert that lines the whole of the basket, it’s a divider that can be slotted into the basket at different points to create custom-sized chambers to suit any need. While there won’t be a tight fit for parts like what a custom wire insert may have, this method is far more adaptable. This way, the same basket design can be used for many new part lines. These are all valid options for creating versatile custom wire baskets. The choice of which one is best will vary depending on the manufacturer’s needs. Marlin’s engineering team considered each of the different methods of making a custom wire basket more versatile, and found that using removable and adjustable dividers made the most sense for the customer’s needs. With adjustable dividers, it would be easy to modify the basket’s design to match any new parts that might be introduced in the future. Also, because the individual dividers were so small, they had a minimal storage footprint, even while making the baskets they were used for incredibly versatile. To allow the removable dividers to be slotted in with ease, each of the rows in the basket were lined with custom-cut sheet metal along the top of the permanently-installed wires. 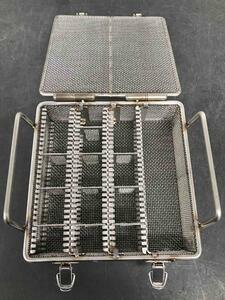 These sheet metal “teeth” would hold the removable divider in place inside the basket. To keep the dividers, and the parts, from falling out of the basket during the ultrasonic cavitation process, Marlin’s engineering team added a heavy hinged lid. This lid was secured with two heavy-duty latches to ensure that it would not accidentally open. Even if the basket were flipped upside-down, the latches would hold. Because the dividers can be moved up and down to accommodate parts of different sizes, the basket can be easily adjusted for new parts. This allows the basket to be used for new part lines that the customer hasn’t even finalized yet, as well as a wide variety of existing parts. To keep the basket from being degraded by exposure to the customer’s ultrasonic parts cleaning solution, it was made using grade 304 stainless steel. This grade of stainless steel was more than enough to take near-constant exposure to the client’s parts cleaning chemicals. The trick to this custom wire basket was that the placement of every wire and piece of cut sheet metal had to be incredibly precise. If a wire holding the teeth of the sheet metal was half an inch out of place, the dividers either wouldn’t fit, or fall out. To achieve perfect placement for the custom wire basket’s components so it could function properly, Marlin’s manufacturing team used advanced factory automation to build the basket. Laser cutting machines created sheet metal teeth that had smooth edges—which not only held the dividers in place, but eliminated sharps and burrs that could damage the dividers or the parts the basket would hold. Wood routering machines cut custom wood blocks to hold the wires for the basket in place so they could be welded with ease. These wood blocks made it easy to ensure consistent wire placement for welding operations. Medium frequency direct current (MFDC) welding machines were able to complete welds in as little as two microseconds, minimizing the flash and burn of the welding process which could otherwise lead to warping the shape of the basket. Wire bending robots extruded steel wire from spools, straightened it out, bent it at precise angles, and then cut it to match the exact length needed for each wire in the basket. These machines were able to work almost completely independently of human interference once set up. Unlike manual laborers, they wouldn’t become tired or bored after performing repetitive tasks for hours on end, either. 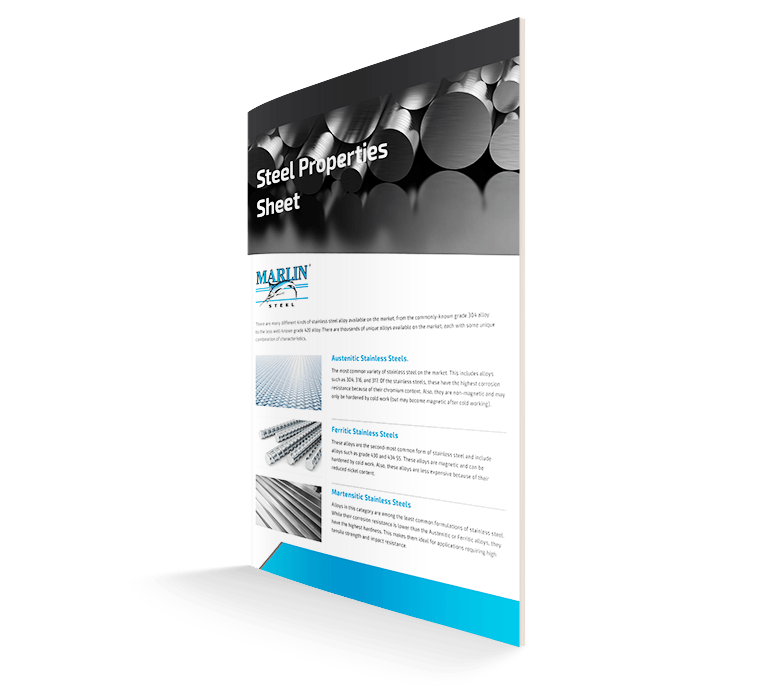 This helped to ensure incredible consistency and speed for Marlin’s custom wire basket manufacturing team. By using advanced factory automation, Marlin’s manufacturing team was able to complete the custom wire baskets and their removable dividers in just a few days with virtually no parts rejections. This, in turn, allowed Marlin to meet the customer’s tight production deadline so they wouldn’t be put behind schedule. Need a custom wire basket as soon as possible? Reach out to the Marlin team to get a custom basket quote!